"The 6th (!) 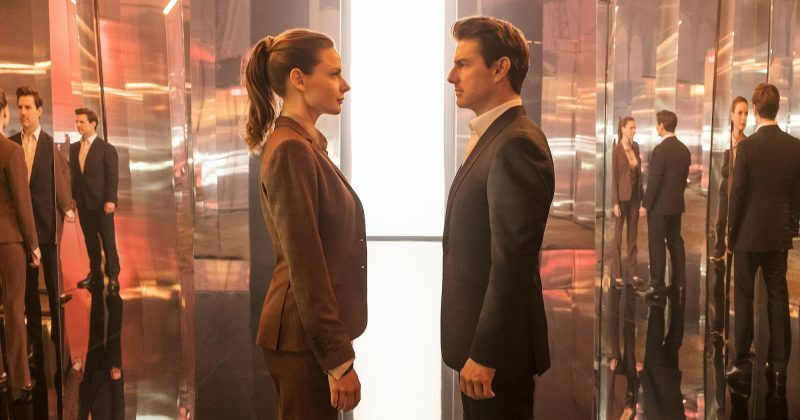 Installment of the Mission Impossible Franchise continues to defy expectations by being better than the last." 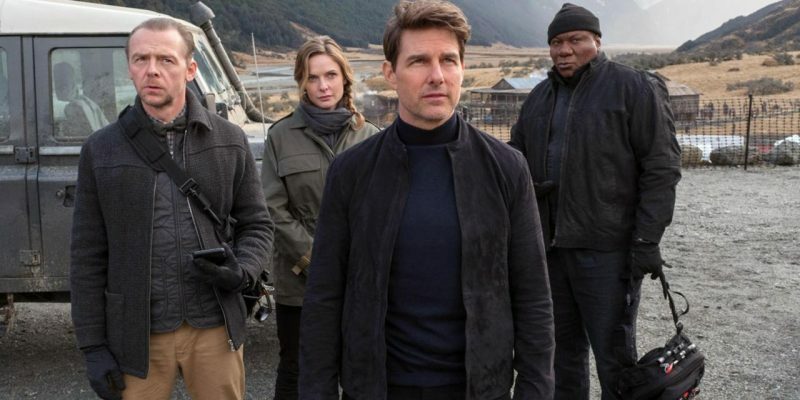 Mission Impossible: Fallout is the 6th film in the Mission Impossible franchise directed by its first returning director Christopher McQuarrie, and starring yet again, Tom Cruise, Simon Pegg, Ving Rhames, and Rebecca Ferguson. Mission Impossible: Fallout is the first direct sequel to the franchise, picking up again where the battle between Ethan Hunt (Cruise) and the leader of the Syndicate terrorist group, Solomon Lane (the excellent Sean Harris), left off. The movie opens with the IMF failing to complete an assigned mission to retrieve some illegal plutonium, leading to a series of events attempting to prevent the destruction of a small country. Although this franchise is not exactly known for its modesty, Fallout’s action seems to be even bigger than the rest of the movies. The set pieces are more elaborate, the shots are wider and more detailed, there’s a car chase that leads into a motorcycle chase, a helicopter chase that’s even more intense than both of those chases. But my favorite sequence has to be an extended sequence of Tom Cruise, running between buildings as well as jumping out of a building. It’s literally just him running, but the shots are so compelling, breathtaking and exciting that you can watch him run forever. And you do. The supporting cast was great. Benji (Simon Pegg) is still adjusting to his transition to his role from an analyst to a field agent. His insecurities and comedic timing provide a nice balance to the rest of the IMF agents, who are seasoned to the point of fatigue. Ving Rhames has his biggest role here since the first film, providing a moral center that the other films did not have. He humanizes Ethan Hunt here, and reveals that he’s more a human than the super-agent that we saw in Ghost Protocol and Rogue Nation. Rebecca Ferguson returns as well as disgraced MI6 agent, Ilsa Faust, and is still great. Although her character seems unnecessary at first, she plays a bigger role in the third act. The weakest link here is the addition of Henry Cavill, an addition added to the IMF team after their first botched mission. His physicality is the opposite of Cruise. Compared to Hunt, he’s big and brawny. Next to Cruise’s martial arts style of fighting, he fight like a boxer. He’s not quick and super clean cut, he has facial hair. I understand why the choice was made to cast him, because on paper it makes sense. But the cast has so much charisma and charm on their own, that he did not really add much to the film. Cavill is not necessarily weak, just not as strong as everyone else. Mission Impossible: Fallout is a highly entertaining, edge of your seat action film. One of the best of its kind. The action is all practical, well shot and well timed. The characters have a ton of screen presence and all actually contribute something to the plot. The movie also doesn’t take itself too seriously, it’s not an overcomplicated plot and the characters themselves are amazed that they are able to survive the things they survive. It’s a good one, go see it.